Steve is always professional, prompt, and knowledgeable. On more than one occasion, he has dropped what he was working on to help complete an urgent order for my mechanics. Mr. Vill is a pleasure to do business with. This place is awesome. Industrial Hose always has what I need, goes above and beyond to help the customer, and lends a hand for personal projects. Steve and his team stand behind their products; we continually get support on various items we’ve bought from them. I have been working with Steve for many years. No matter how difficult my request is, he always comes through. It’s great having a hoseman who we can count on. Our Vice President and resident Hose Man, Stephen Vill, brings over 35 years of industry knowledge to Industrial Hose. Having first started at the age of 19, Steve worked in Elizabeth, New Jersey alongside his brothers learning the trade. There, he was taught not only about hoses but also v-belt, adhesives and bonding, and hand making gaskets and other rubber products. To further his education, he attended both Weatherhead and Boston Industrial Hose Schools. 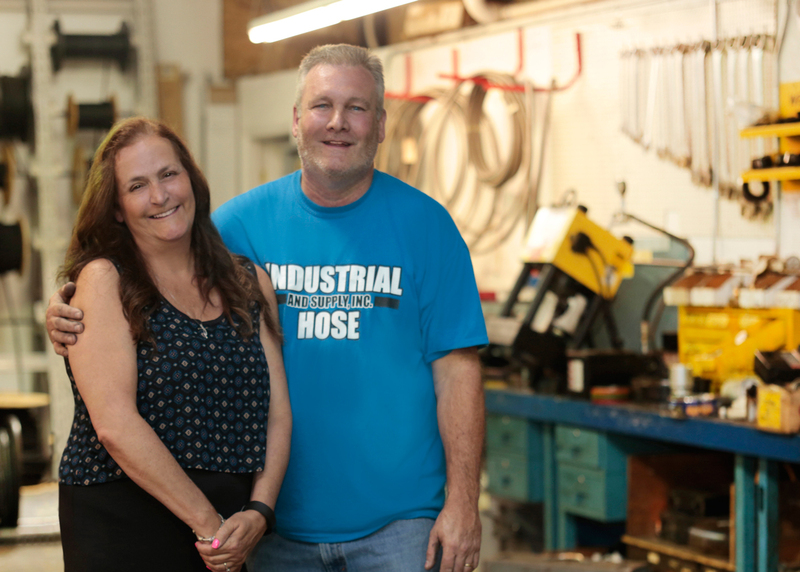 Growing tired of the city life, Stephen and Patricia Vill uprooted their family and moved to their favorite vacation spot, Milford, PA. From there, Industrial Hose was incorporated in 1996 and opened doors in 1997. 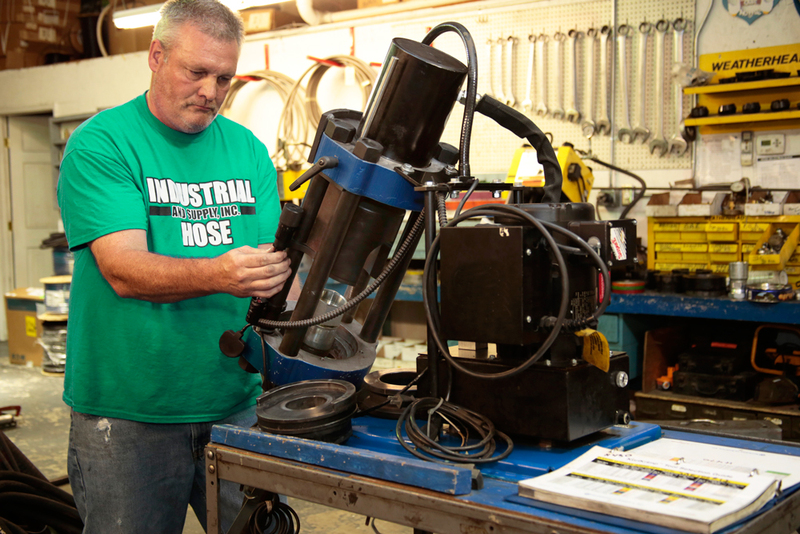 Outgrowing their original, Milford-based shop in 2006, Industrial Hose relocated to the newly constructed Shohola facility where they expanded not only the warehouse, but also services offered. Now nestled in the woods only 5 miles from I-84, the family-operated staff at Industrial Hose serves clients in over 30 states. Today, they are still the area’s go-to hose professionals. Industrial Hose is a woman-owned, full-service hydraulic and industrial hose company distributing the industry’s most dependable name-brands specializing in individually tailored assemblies.